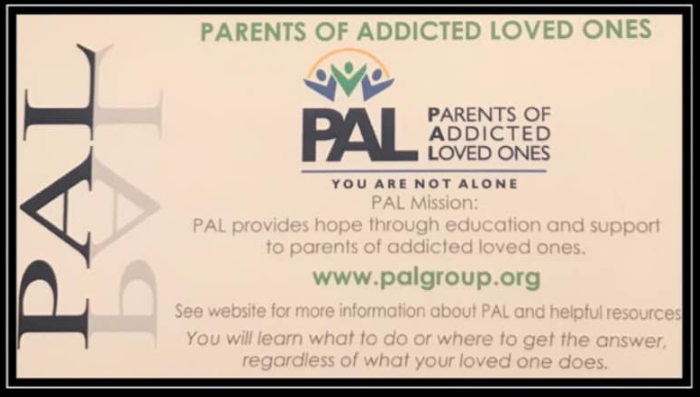 PALS (Parents of Addicted Loved Ones) will meet tonight (February 11, 2019) from 6:00 pm to 7:30 at the Bogalusa YMCA. The sessions are free for parents, guardians, grandparents, and any person in a relationship with an addict. Must be 18 or older to attend. Childcare will be provided for attendees. PALS is sponsored by the Bogalusa Strong Behavioral & Emotional Health Focus Group and ADAPT. How often is the meeting?